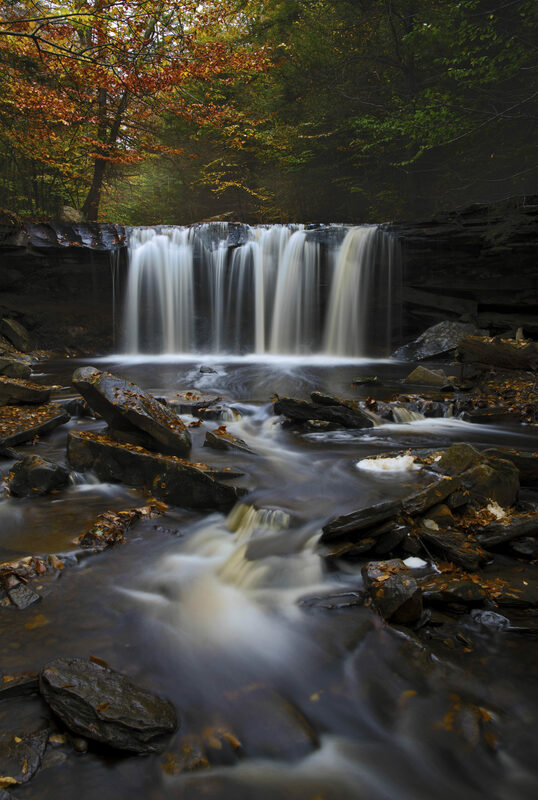 Ricketts Glen State Park is my favorite state park in Pennsylvania, where I live. The park features more than 20 waterfalls along hiking paths. This is just one of the falls, on a rainy day as the leaves were starting to turn autumn colors.